Is Your Elevator Pitch Everything It Should Be? Is my pitch unique from those of other agents? Do I use more “you” pronouns than “I” pronouns? Does my pitch end with a CTA (call to action)? If the answer is no to any of these questions, chances are your 30-second real estate pitch may need some fine-tuning. It’s crucial that when someone asks you what you do, you give them an answer that highlights your successes while also speaking to their personal needs. Let’s examine the questions from above and discover why they are important. We’re not suggesting you lie, rather that you do more than state the obvious. You have to find a way to stand out from other real estate agents. If someone asks what you do and you reply that you’re a Realtor, you are instantly painting a picture in their minds of what a real estate agent does, and you want to point out that you’re more than that. An effective elevator pitch will speak to your particular niche. Consider your strengths and design your pitch around what sets you apart from other agents. The use of the “you“ pronoun personalizes the message and makes your audience feel like you are speaking to their experiences and not delivering a speech. When you sell yourself in this way, people are much more likely to refer you to someone they know who just happens to be having bad luck finding the right home in their budget. Does It End With a CTA? The best way to end an elevator pitch is with action steps for your audience to take next. Invite them to follow you on social media, ask them to sign up for your eNewsletter, tell them to check out your website — anything that will prompt them to take a step toward using your services. Business cards are fine, but it’s even better if you can show them your Facebook or Twitter and get them to hit follow right then and there. Or get them to sign up for your email newsletter to receive routine communication from you. If you’re not set up with your own real estate newsletter to send to clients, click here. 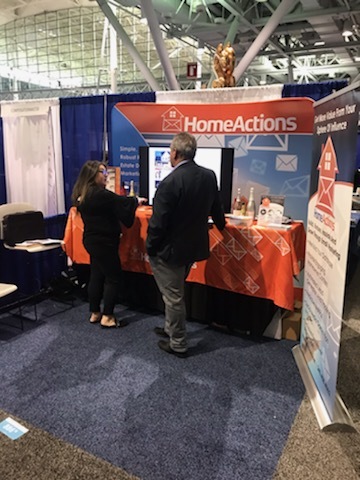 We had the pleasure of meeting so many of you this past weekend at the 2018 National Association of REALTORS® (NAR) Conference & Expo in historic downtown Boston, Massachusetts. 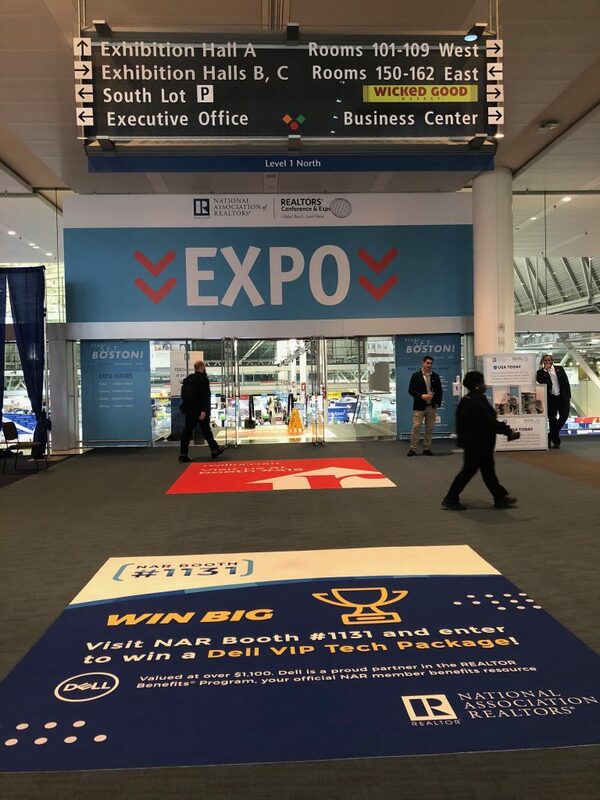 It was a fun-filled weekend of info sessions held by industry leaders in real estate, networking opportunities and a trade show with more than 400 exhibitors. Our amazing partners, CellAHome and Connect Now were also in attendance and we were so grateful to chat with all of you face-to-face. 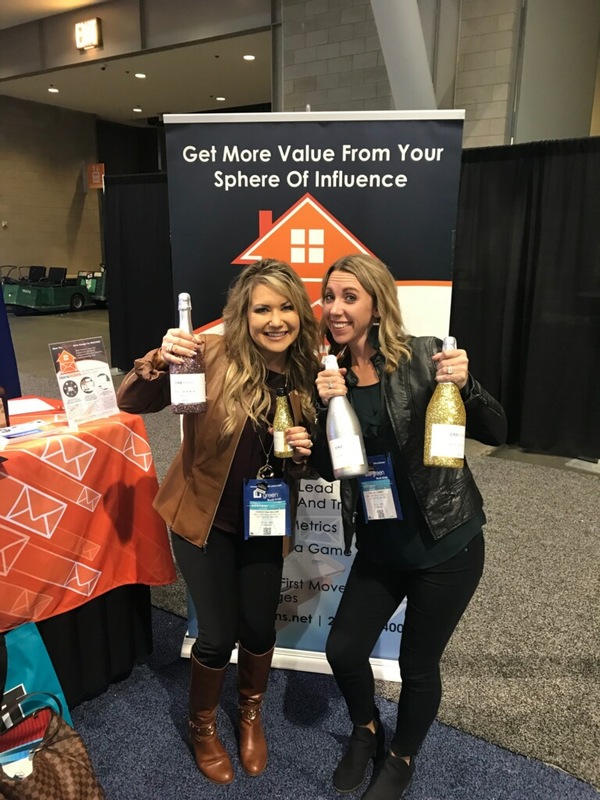 To virtual companies like ours, the kind of connections we’re able to make with our customers at the NAR conference is invaluable. If you didn’t get a chance to attend this year, check out these highlights! 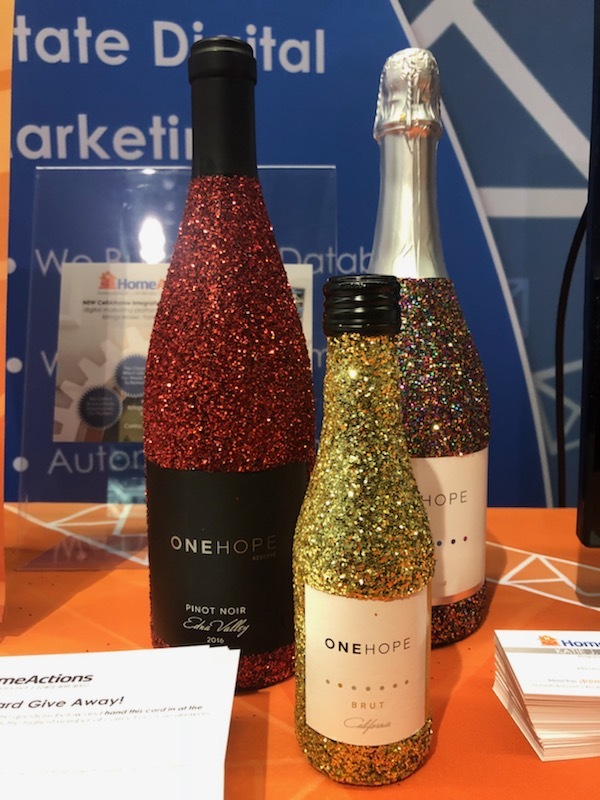 Our ONEHOPE Glitter Edition Wine raffle was a total hit this year with three lucky winners! 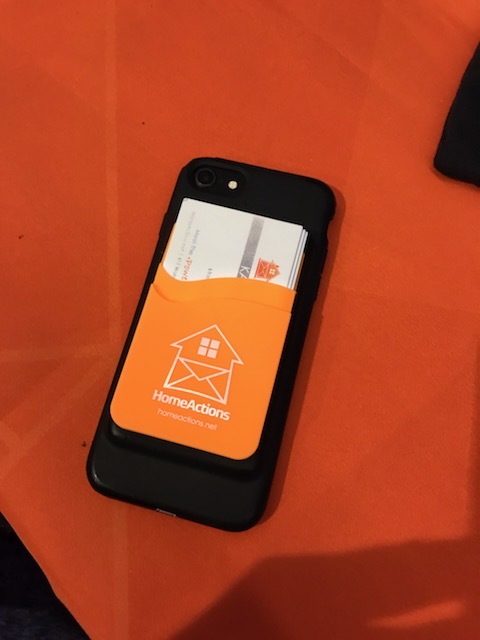 Visit the HomeActions Facebook page for more event highlights! SURVEY: Do you use fresh or artificial flowers in your home? 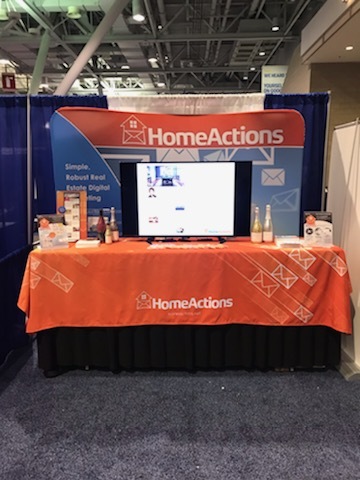 HomeActions newsletters are distributed by over 5,000 real estate professionals reaching over 3 million email newsletter readers every two weeks. This week, we’re polling our readers to find out if they use a fresh or artificial flowers. 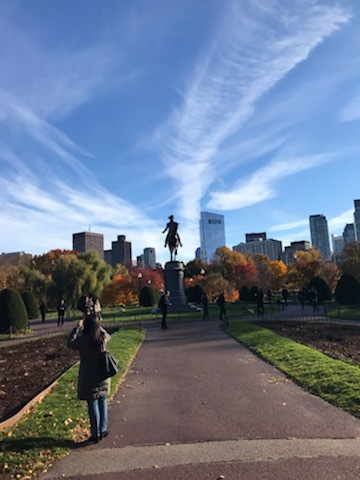 Find out how they responded to our November 2018 survey. Where can Realtors go for expert advice? What are the best resources to help agents grow their business? Real estate agents need a place to gather the best industry advice on the web. That’s why we’ve rounded up the 5 best websites for Realtors to go to for information on housing trends, lead generation, goal setting and more. RED offers quality content to keep you up to date on what’s happening in the housing market. Many of the articles feature a section called “key takeaways” to help you get the most important information. This is a site that realizes how busy agents are and crafts their content to deliver you fast, beneficial information on the go. Apart from RED’s headlines, agents also should check out RED’s Pro-Marketing and Pro-Technology sections. These verticals offer agent-specific information to help improve your real estate business. What should you check out on RED? The BoomTown blog is a great resource for agents. It’s not overly fancy, but on a consistent basis, it provides tips and advice about life as a real estate agent. Articles are easy to navigate and usually include fun GIFs. You will find great content about housing market trends, technology and marketing tips. Check out on BoomTown: Busted! 7 Myths About Real Estate Leads We Can Finally Put to Rest and 5 Morning Habits of the Most Successful Real Estate Professionals. Tom Ferry’s blog features varied content about real estate life, running a business, self-improvement and more. What makes this an excellent blog is that it touches on different aspects of work life; it has tons of content about goal setting and improving your quality of life. A nice mix of blogs, podcasts and videos. They have a very robust podcast series covering lead generation, motivation, buyer agents and more. You can find up-to-date information on what’s trending in real estate in the “Market News” vertical, with a range of content such as Best Neighborhoods for Real Estate Buying and Investing and Bomb Shelter Converted into Luxury Cave. Can you blame us for shouting ourselves out? The HomeActions blog is a growing community of agents seeking expert advice on how to improve their real estate business. You can test your knowledge about real estate with our 2017-2018 Quiz. Check out other topics, such as handling client objections and using social media to promote open houses. It’s our mission to keep you informed about how to stay top of mind with your clients and how to create a thriving referral business. If you haven’t already, check out our post How to Set Goals and Reach Them as a Real Estate Agent. DON’T FORGET! HomeActions provides automated real estate newsletters for you to send to your clients. We design the newsletter, write the content and send it out on your behalf so you can easily stay top of mind with your real estate clients.